Using animations is part of the web design routine. One of the latest innovation in web design is using Html5 animations to avoid the use of Flash. HTML5 is a markup language used for structuring and presenting content for the World Wide Web and a core technology of the Internet. In this article I have compiled a list of top 7 amazing HTML5 tools to simplify and speed up your HTML5 coding. If you have any insights into which of these tools work well, I welcomed your comments and feedback. Don’t forget to subscribe to our RSS-feed and follow us on Twitter and Facebook for recent updates. 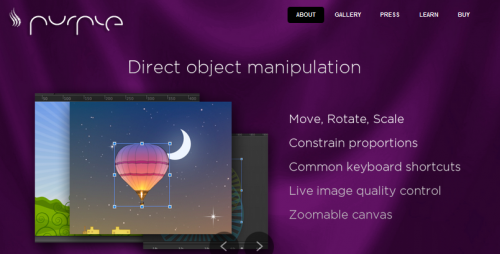 Tumult Hype’s keyframe-based animation system brings your content to life. Click “Record” and Tumult Hype watches your every move, automatically creating keyframes as needed. 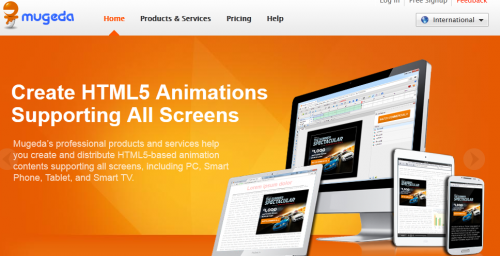 Mugeda’s professional products and services help you create and distribute HTML5-based animation contents supporting all screens, including PC, Smart Phone, Tablet, and Smart TV. HTML5maker online editor supports all popular text filters so you don’t need to use Photoshop to create cool looking text. 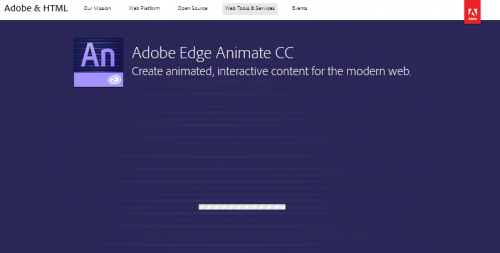 Currently, it is promoting its own tools that can assist designers to easily create animated content for your website.